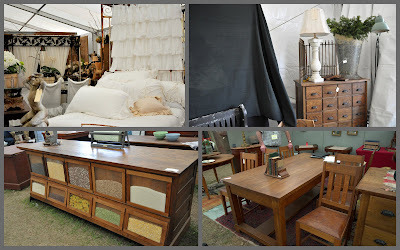 Some great oak pieces, plus a shabby chic bed to dream in. Old chest with the odd knob. There are some interesting pieces here...like those metal mesh masks. 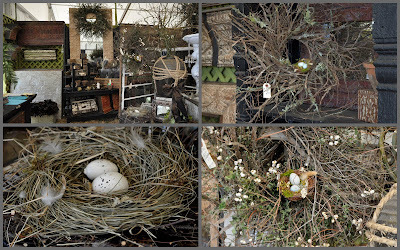 And to think that I threw away all those twigs when I cleaned out the flower beds the other day! 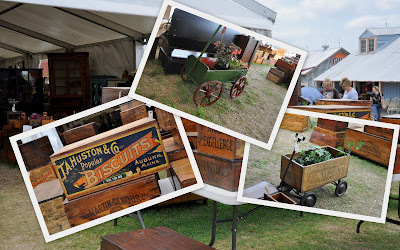 These old wooden commercial crates are lovingly collected and re-purposed by a husband and wife team from Michigan, who have been coming to the Round Top Antique Show for thirty-five years. 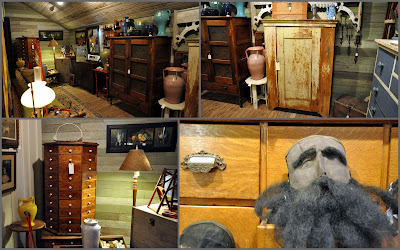 One last look at Magnolia Pearl's wonderful world, concludes our visit to the Texas Spring Antique Show in Round Top, Texas. Wasn't that fun? I have truly enjoyed a peek at the show. 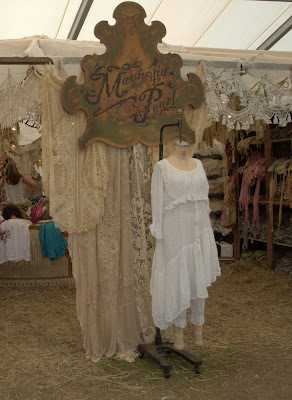 Thanks so much for giving us a glimpse as you made your way through the all the displays. What a fantastic trip! Thanks for sharing all the great pics! Wish I were there! Have a wonderful weekend! How can I get in touch with the owner of that camera? 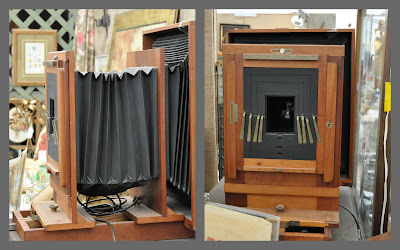 I just enlarged and looked at my photos on my computer and could not find any identifying tags on other items at this booth.